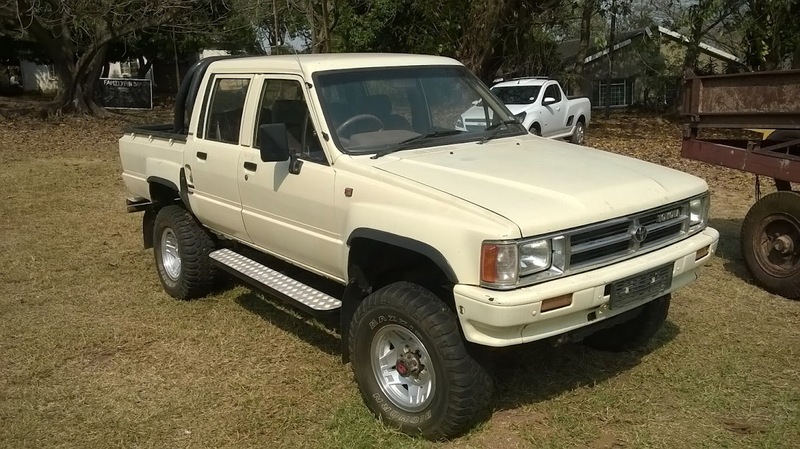 I have just bought a '87 hilux double cab. 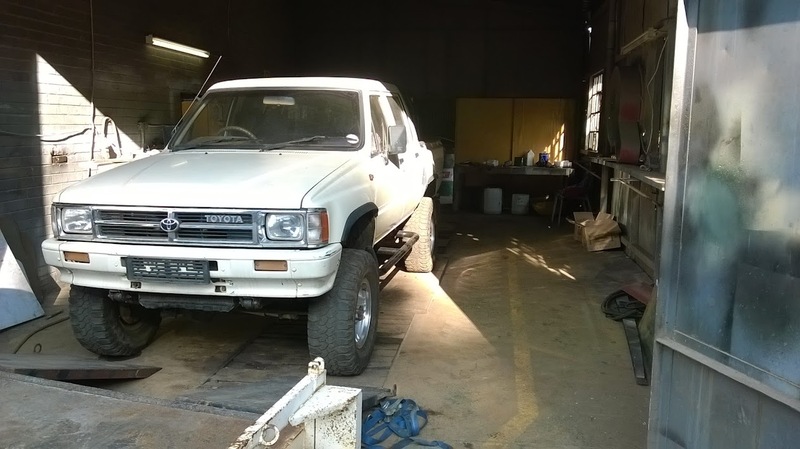 This will be the 2nd hilux I have owned. It is in some serious need of some tlc. Once done it will be my daily driver. I am actually a cruiser nutter but need to safe those for their inteded jobs. So, i joined the forum to gather info, see what others have done and maybe help out when things go wrong. I have fair bit of teck knowledge. I live in the lovely slowveld and at times it can be frustrating, I prefer better service level but guess one has to compromise. Welkom van uit Nelspruit Marius. Geniet dit hier. Thanks, as soon as things get going I will start a a build thread to keep a record of what is being done. 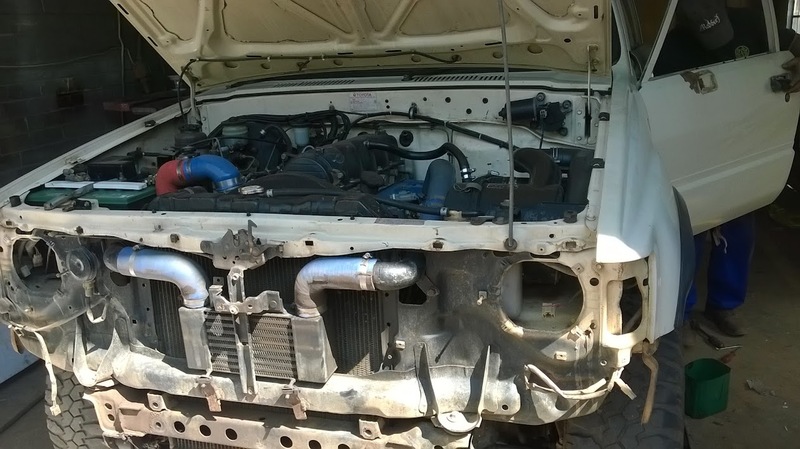 Daar is n enjin in wat nie daar in hoort nie, ek sukkel bietjie met die naam Maar dis n 2.5 diesel met n intercooler wat so groot soos n tee sakkie is! 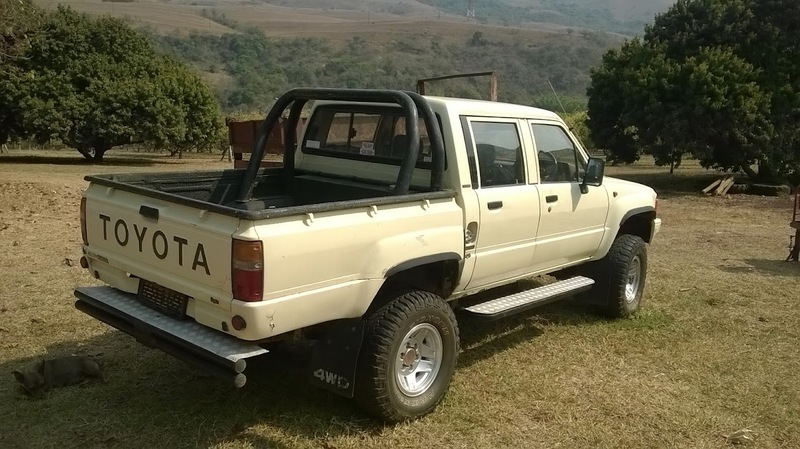 Die bakkie lyk mooi van ver maar ver van mooi! Somebody trained his spray painter on this job. The reason for buying this one is that the body is honest and the chassis has not been welded on or molested in any way. A good base to start work from. Welcome Marius, the overall look of the SFA looks great. As you say good platform to work with. I'm also a purist and prefer original or at least the same brand motor conversion. However, if it's the Ford ? Mazda 2.5 WL Diesel motor, don't knock it - it's a pretty reliable motor that's well suited to the SFA with fairly decent fuel economy as well. Mud Dog wrote: Welcome Marius! When I bought it the plan was not to continue with the engine. I fired it up yesterday anyway and there is enough compression in the water system to pump tyres with It has been removed already. Welkom Marius, my kennis van voertuie is maar power so ek sal maar net kyk. Hoop jy geniet dit hier en kry meeste van jou inligting hier. Dankie Ben, ek is seker as ek vas brant dan sal ek geholpe word hier. Lekker kyk, dit sal van tyd tot tyd stil raak want eers moet daar gewerk word en as daar dan n spaar oomblik is dan bespring ek die Hilux.